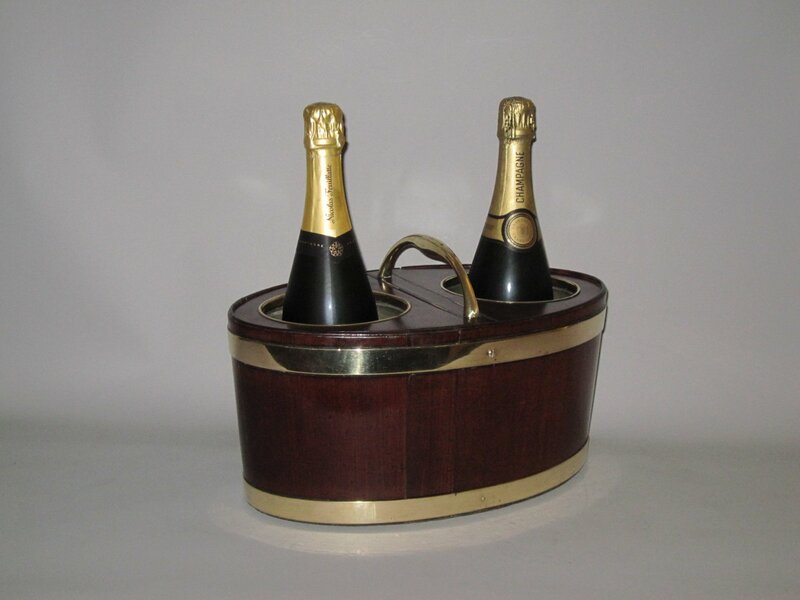 AN 18TH CENTURY MAHOGANY & BRASS BOUND CHAMPAGNE BOTTLE CARRIER GEORGE III, CIRCA 1790. Of oval form with the rare feature of double hinged covers & liners. Brass loop carrying handle. Suitable for magnum bottles.